(CNN) A guest in a Portland hotel claims he was harassed by employees when he was asked to leave the hotel after receiving a call late Saturday in the hotel lobby. 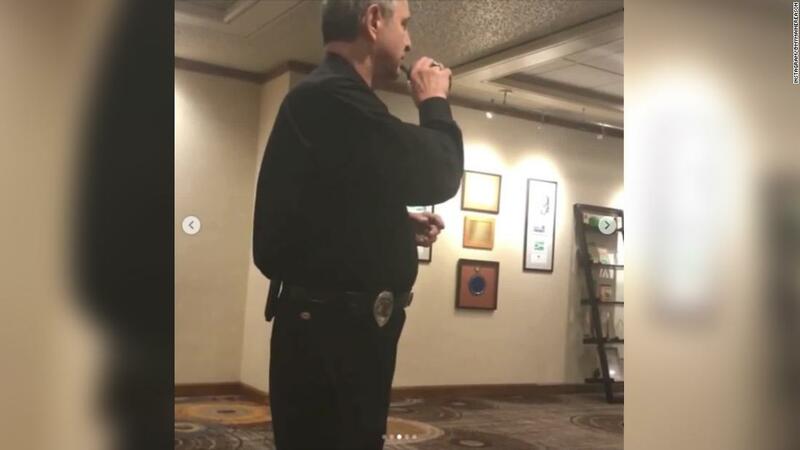 Jermaine, resident of Washington State Massey was in the lobby of the Portland DoubleTree when a security official told him that the police were on their way to take him off the property. In a series of Instagram videos of the incident recorded by Massey and received by CNN, he is asked how he asked the guard, "But why, but I'm staying here." "Not anymore," replies the security guard. Massey then told a hotel clerk that he would make a personal phone call in the lobby when the guard started asking why he was there. At one point in the videos he shows the two men his key envelope with the room number and the date. The hotel staff contacted the Portland Police Bureau (PPB) and asked an official to speak to Massey after the staff asked him to leave after a PPB statement. The policeman escorted Massey to his room to collect his belongings and offered to help him at another hotel, but he refused, he told the police. Massey's lawyers told CNN that the hotel employees demanded that he be arrested for trespassing if he had not left the property at that time. and said that the hotel has contacted Massey over the matter. "We are sorry that this matter ended in this way and addressed the Lord to resolve this issue," Peralta said. "We are a place of public accommodation and value diversity and inclusion, and our hotel does not discriminate against individuals or groups and we look forward to talking to them." Massey accuses the guard of "harassing" him In a statement CNN received from his lawyers, he described the incident as "calling his mother while she's black." Through his lawyers, Massey has asked the Portland DoubleTree to explain why they consider him a security threat to hotel security and why he was ever questioned about security. In addition to reaching the hotel, CNN has also asked the two hotel employees for comments shown in Massey's Instagram video.